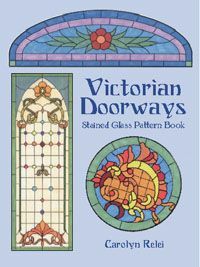 Derived from authentic 19th-century sources, these elegant patterns were all specially designed for doorways and transoms. Includes: 175 black-and-white illustrations. Distinctive images include flowers, grapevines, scrolls, wreaths, and other motifs, each appearing in several shapes, including rectangular, oval, circular, and oblong.